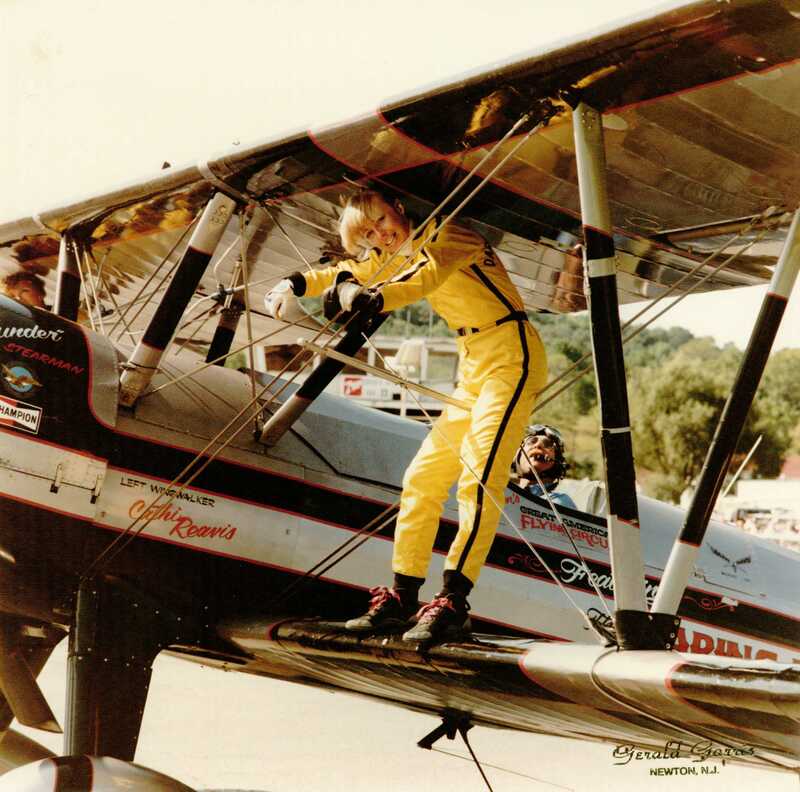 Cathi Reavis riding the wing of the 450-hp Stearman as a Daring Damsel wing walker. Hey “Morty” still around the valley? Last night for what ever the driver, I began looking at the record of “the Daring Damsels”: that was such an amazing time Cathi.